Millen Atwood was a member of the 10th Quorum of Seventies. 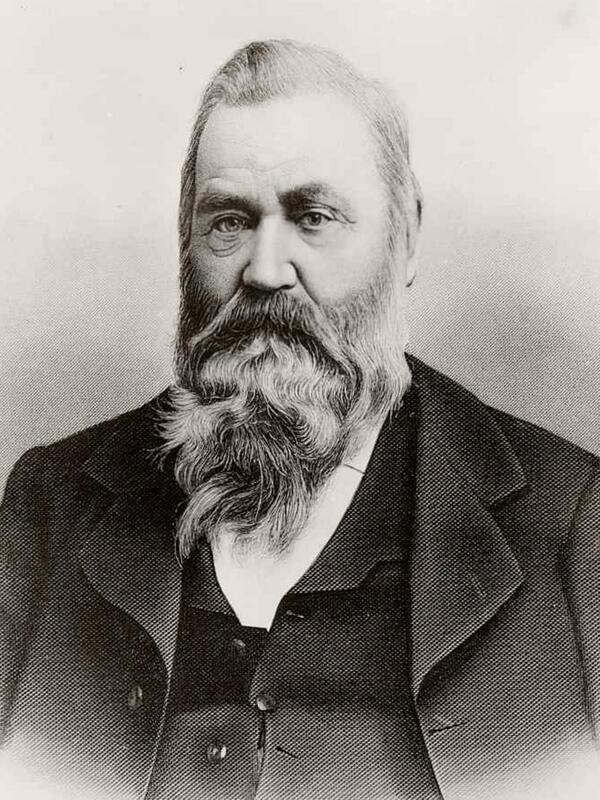 He traveled in the 1847 Brigham Young Company as part of the 3rd Company of Ten, headed by Phineas H. Young. His obituary indicates he traveled to the Valley initially in 1847 in the vanguard company, then returned to Nauvoo to obtain supplies. He returned again to Salt Lake the following year, again in Brigham Young's company. He sailed back to America in 1856 on the ship Thornton, and he again crossed the plains in 1856 while returning from a mission in Europe. Atwood, Millen, "Account of His Mission," Deseret News [Weekly], 26 Nov. 1856, 300-301. Atwood, Millen, Autobiographical sketch, in 14th Quorum, Biographies, Reel 40, 3, in Seventies Quorum, Records, 1844-1975. Bennett, Margaret, [Interview] in "Utah Pioneer Biographies," 44 vols., 5:7-10. Cantwell, James, Autobiography, in Joel Edward Ricks, Cache Valley Historical Material [ca. 1955], reel 3, item 29. Cantwell, James Sherlock, Autobiography, reel 3, item 30, 1-3. Chislett, John, "Narrative," in T. B. H. Stenhouse, The Rocky Mountain Saints: A Full and Complete History of the Mormons (1873), 313-32. Cunningham, George, Reminiscences, 1876, fd. 2, 2-5. "Death Of Bishop Atwood," Deseret Evening News, 17 December 1890, . Elder, Joseph Benson, Journal, 21-28. Lloyd, Susannah Stone, Autobiography [ca. 1992], 1-4. Lloyd, Susannah Stone, Lloyd family sketches 1915, 1-2. Oborn, John, Reminiscences and diary [ca. 1862]-1901, [Part 1], 4, [Part 2], 2. Rogerson, Josiah, "Captain J. G. Willie's Or, the Fourth Handcart Company of 1856 [No. 2]," Salt Lake Herald , 5 Jan. 1908. Rowley, Ann Jewell, [Autobiography], in James Albert Jones, comp., Some Early Pioneers of Huntington, Utah and Surrounding Area (1980), 244-46. Willie, James G., "Synopsis of the Fourth Hand Cart Company's Trip from England to G.S.L. City in 1856." In Historian's Office history of the Church, 1839-circa 1882, 9 November 1856, 966-83. Woodward, William, Letter, 1907 to Joseph F. Smith, in Utah State Historical Society Cache Valley Chapter, Historical resource materials for Cache Valley, Utah-Idaho, 1955-1956, reel 5, item 1ab. Woodward, William, to Wilford Woodruff, 17 Feb. 1857, in [Papers and rosters relating to emigration companies] 1846-1860s.